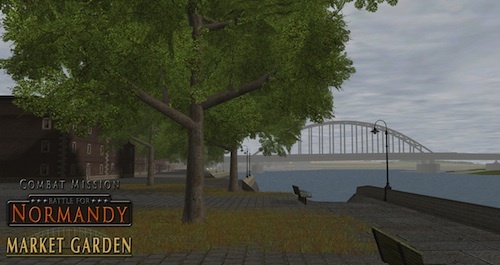 CMBN Market Garden Module is an add-on Module for Combat Mission Battle for Normandy that portrays the famous battles for the bridges over the Rhine. You will battle in the Netherlands for control of these critical bridges leading to Germany during September 1944. Find out for yourself why the operation became better known as "A Bridge Too Far". 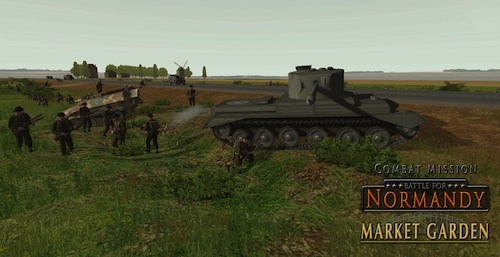 To properly portray these epic battles, the Market Garden module introduces a massive collection of 68 formations and 50 vehicles not seen in CMBN before. Allied forces include the full range of American, British, and Polish Airborne forces, plus British ground forces that lead the relief effort. On the German side are scrappy ad-hoc units quickly thrown together from Heer, Waffen SS, Luftwaffe base personnel, and Naval staff units. Due to the tight focus on a few well documented and well known battlefields, the game includes highly detailed maps of the battlefields of Arnhem, Osterbeek, Nijmegen, and others. These maps include custom made historically accurate bridges to really set the stage. With this in place you can fully immerse yourself in the two campaigns and 14 stand alone battles. Also included are 7 huge Master Maps of the various battlefields, which you can cut up and use for your own battles. 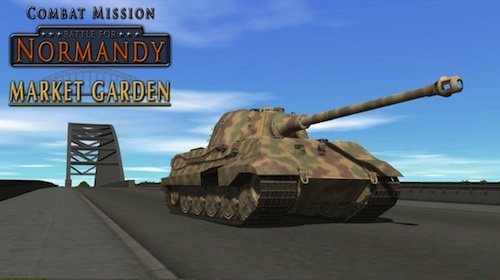 A licensed version of Combat Mission Battle for Normandy Base Game is required for Commonwealth Forces. It is recommended you have Game Engine 4 installed, however Market Garden will work with Engine 2 or 3. No other Modules or Packs are required.